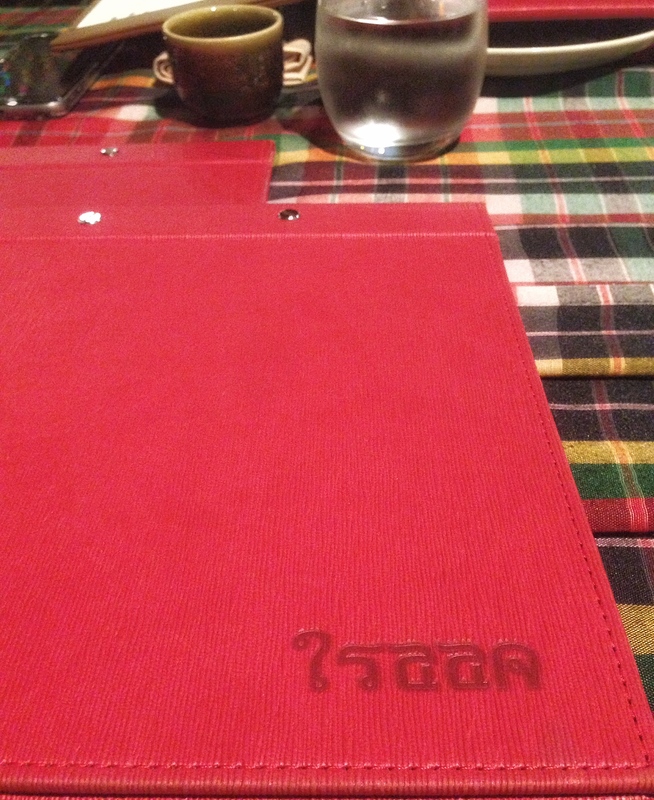 If I said the word “THAI” I wonder what would be the first thought that crossed your mind. Mine instantly screams out Food.. Food… Food followed by massage of course but i’ll leave that one out for a another post. 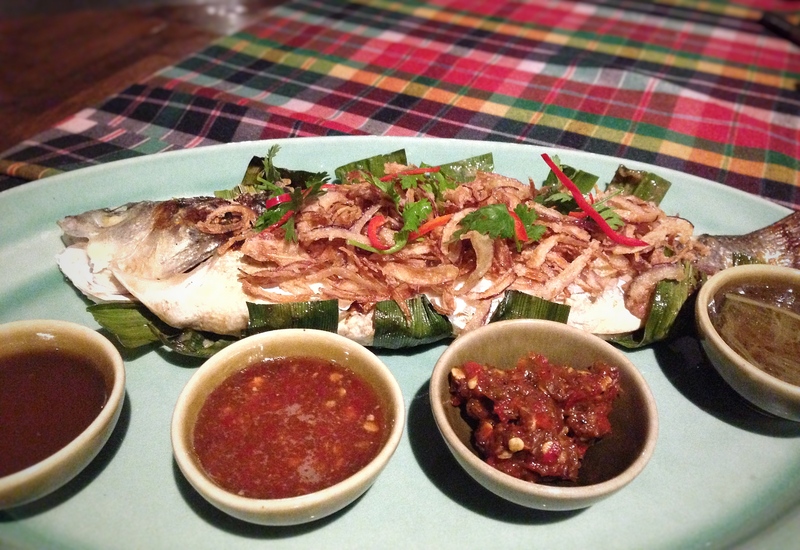 There’s something about Thai food that is subtly numbing and rewarding at the same time. 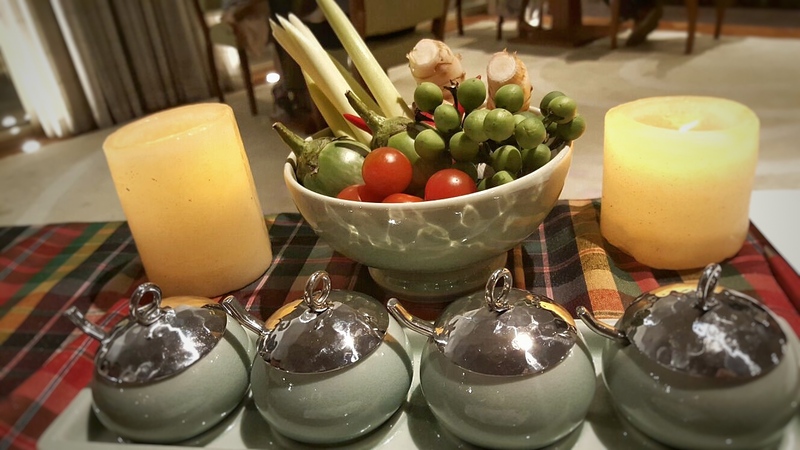 If there one place in the city that dishes exact that its Isaan at the Grand Hyatt Doha .Legendary thai street food served out in tiny tapas portions one plate at a time. The restaurant concept is simple and true to the cuisine which is family style sharing. As we walked to our table I quickly noticed a pretty little special table setting that stood out from the rest of the place. 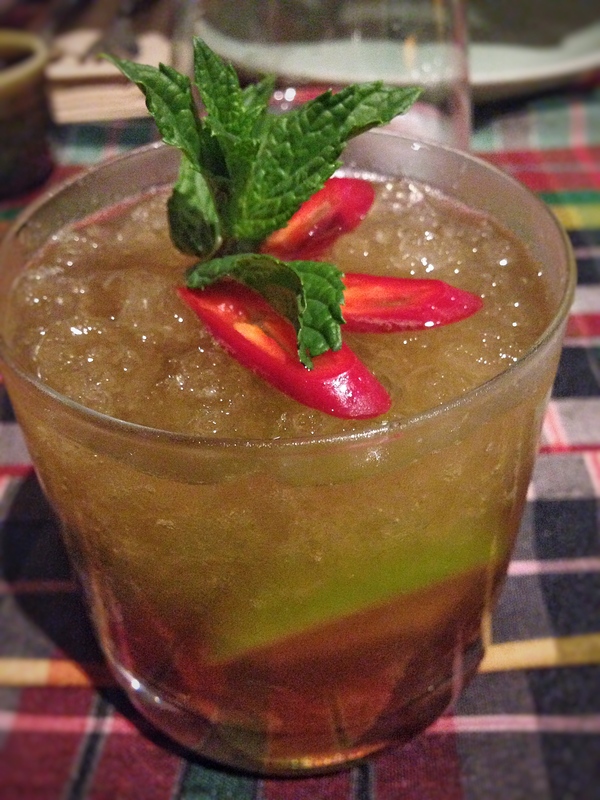 Dressed with a multi colored traditional checked cloth a basket full of fresh thai herbs sat on it screaming…. sawadeka! Larb Ped was a bit too citrusy for my liking. The bamboo shoot salad on the other hand was perfectly balanced and stuffed with fish. 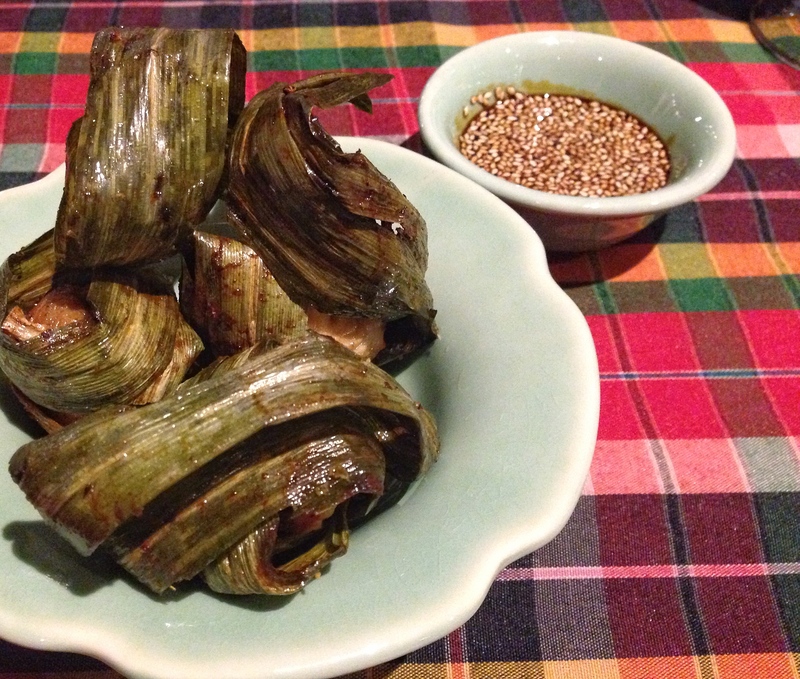 Gai Hor Bai Toey – (Chicken wrapped in pandang leaves) served with a sesame dipping. Quite simply its fried chicken with a hint of pandang ( banana leaf) in it. Good to snack on with a pre drink too. 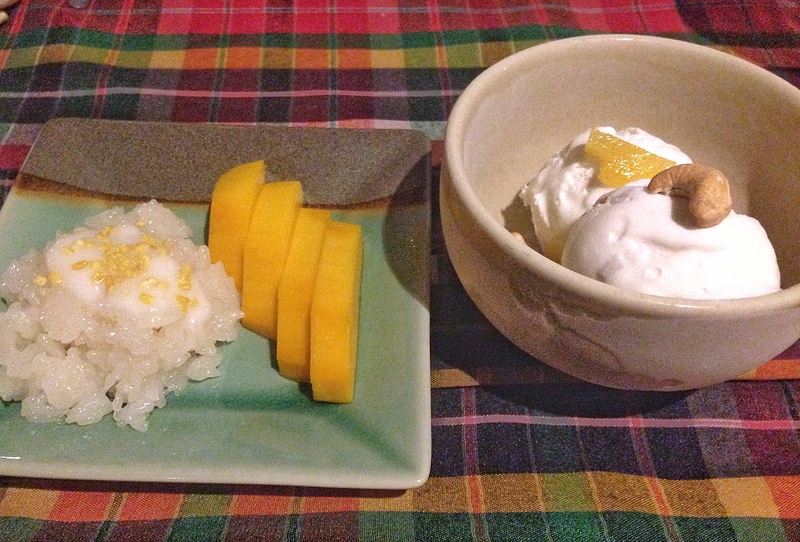 Dessert for us was Thai rice pudding with mango and a fresh coconut ice-cream that had chunks of a traditional Thai fruit. 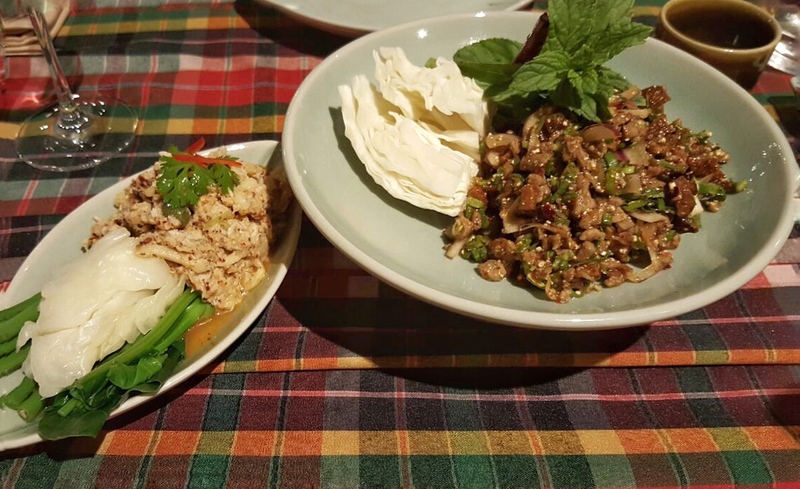 Isaan has a variety of dishes on offer and the restaurant replicates a sophisticated version of Bangkok’s most famous weekend market – Chak Tu Chak market. 3 open kitchens will leave you surrounded by a array of aromas. 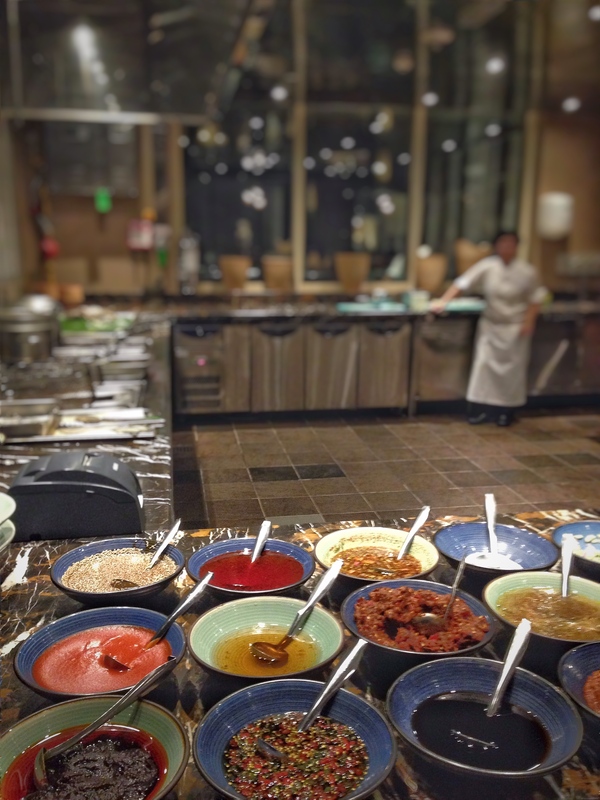 Expect to hear freshly beaten thai produce being beaten down to a paste, cling… clong of pans and that burst of fire at the wok station. Don’t forget to look for the steamingly quite dumpling station too, its quite calming to watch the chefs wait patiently for their bamboo boxes to simmer and steam. Quite simply we had a wonderful evening at the restaurant that is usually quite busy specially Monday’s at Curry Night offered at the exclusive price of QAR 95 from 7:00 pm to 11:00 pm. You can order a variety of unlimited curry to share – five per round – with a choice of meat – fish, beef, chicken, mussels or vegetables. 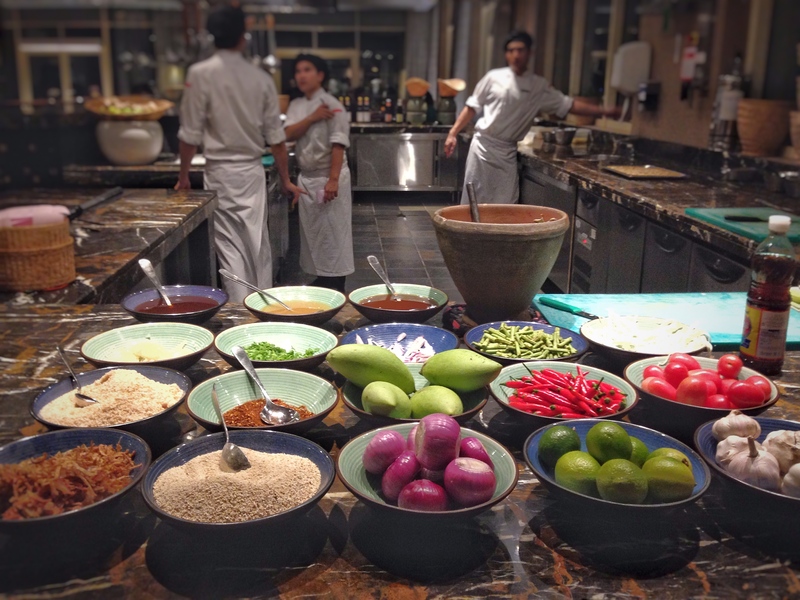 Brunch on Fridays – Open food theater that will leave you feeling like your in a local thai bazaar. Join my quest and mark your map!